Was it not important enough that it was a senseless killing, that a mother took her kids over in a car just to beat up a young women who called her daughter a name? 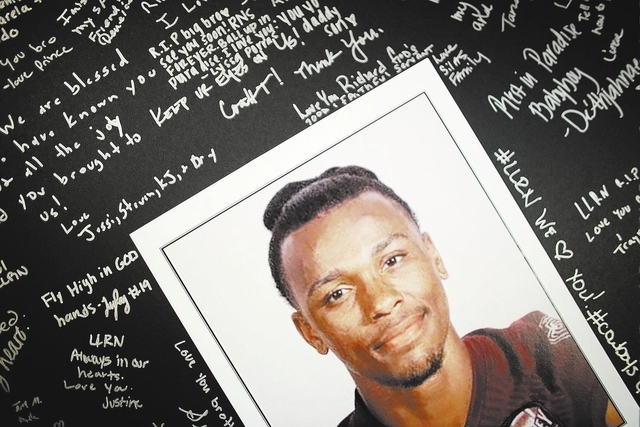 Instead of focusing on the facts — which were many, such as Richard being 18 with a full life ahead of him — the articles focused on the fact that he was a football player, a former high school star and was playing at a state college. Was it not important enough that it was a senseless killing, that a mother took her kids over in a car just to beat up a young women who called her daughter a name? This was like an incident that happens in Chicago on a daily level, yet the Review-Journal has chosen to stress the importance of the victim being a football player. What if he was good in math or science, was on an academic scholarship or was just your average college student? Would so many articles have been written? What does this say to young people? That their life is not important if they work hard in school but are not star athletes?